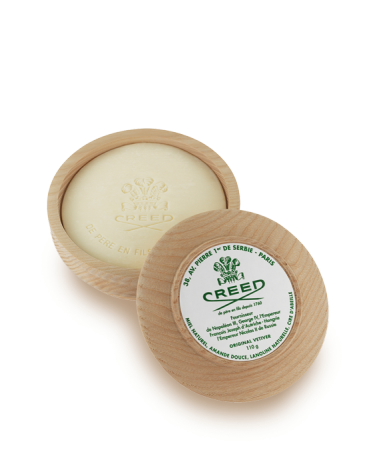 Indulge in a touch of vintage style with this traditional wooden bowl filled with an 110g cake of Creed Shaving Soap. Designed to be used with a traditional shaving brush, it lathers quickly, producing a rich foam which rinses away easily, leaving the skin gently fragranced with Original Vetiver. Come in for a visit and enjoy a unique experience. Let yourself be guided from our attentive experts. We’ll help you find what you’re looking for!